The era of Bob Costas hosting primetime Olympics coverage is over. 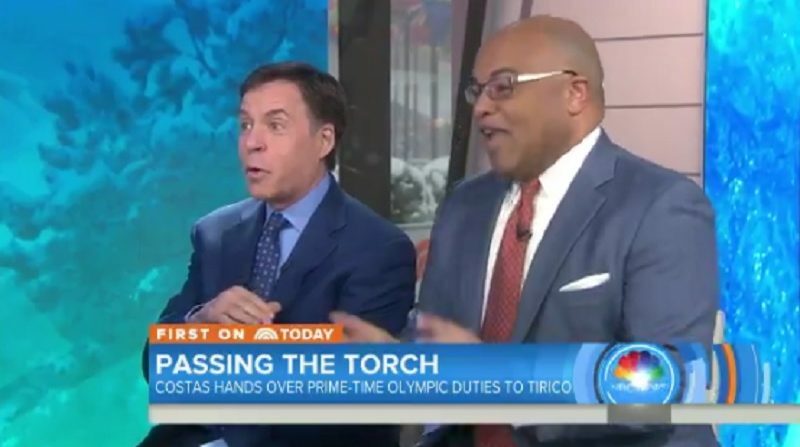 Costas passed the torch over to Mike Tirico on Thursday morning’s edition of the Today Show, exactly one year before the Opening Ceremony in PyeongChang, South Korea. Costas and Tirico both had statements in NBC’s press release announcing the transition. Costas was the primetime host for a whopping 11 Olympics at NBC, stretching back to Barcelona’s Summer Games in 1992. Tirico was a part of NBC’s Summer Olympics coverage from Rio last season, just weeks after leaving ESPN for the Peacock. As for what’s next for Costas, SBJ’s John Ourand reported that he will no longer be hosting Sunday Night Football, though will still make appearances during the NFL playoffs and NBC’s Triple Crown horse racing coverage. This is a transition that most of expected once Tirico made the jump, but I don’t think many of us expected him to be taking over as the primetime host in 2018. That being said, it’s a warranted and well-deserved promotion.